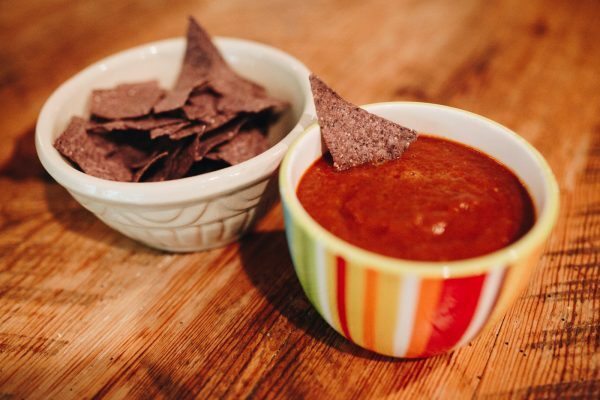 I’ll admit it, we have a crush on salsa over here. I have been making homemade salsa ever since the kids were young and we have always loved to put it on everything. We are a little obsessed! Which is why I have several recipes. This is another salsa I came up with that is so easy and versatile. This recipe is pretty flexible so its possible you’ll have all the makings in your pantry at any given time. I started making this salsa a few winters ago when I was craving tomatoes and realized that if you use a good quality canned tomato the salsa is still very delicious. Be CAREFUL what brand of tomatoes you buy because some of the canned variety taste like the actual can they come in. Also, if you want less heat you can use just one or two of the chipotles. Salsa is a great way to keep fresh flavors and veggies in your diet during the winter. Our bodies desperately need veggies and if you’ve made the change to eat more of them, you will keep craving them. 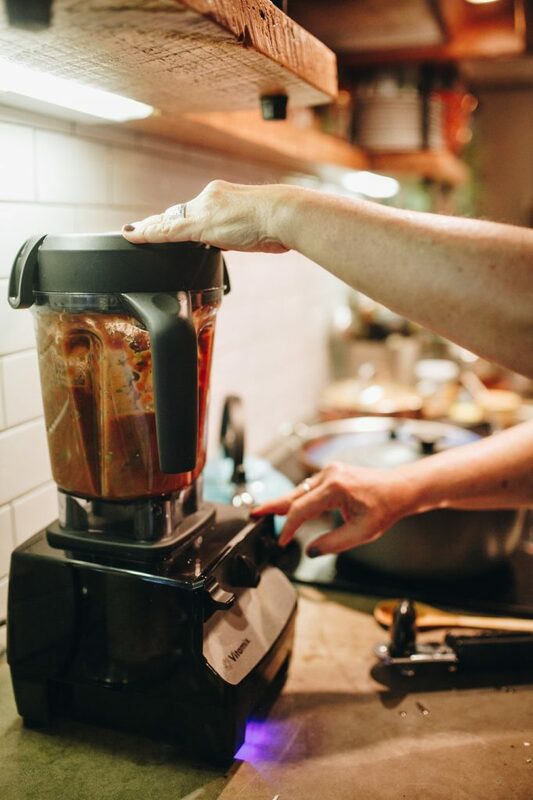 I truly enjoy making homemade salsa, for me, it is another way in which I choose to put more good into my body and nurture my health. 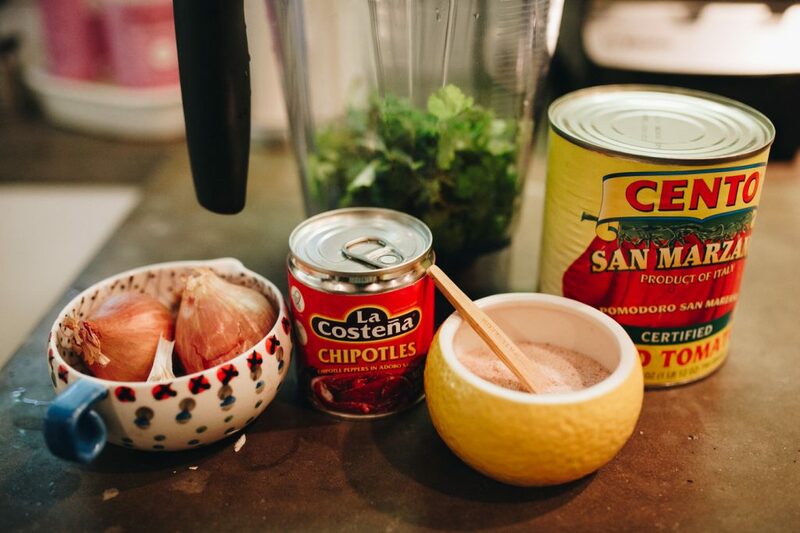 I hope you can be inspired by how easy this is and begin to make your own salsas at home! 1 28 ounce can of San Marzano whole tomatoes in their juices. Put all the ingredients in your blender and blend until smooth. Store in the fridge for up to one week. I eat this, like most salsa, on just about anything but it’s especially good with my Mexican Shredded beef. Eat up!